Tool steel is supplied to the toolmaker in the annealed condition. 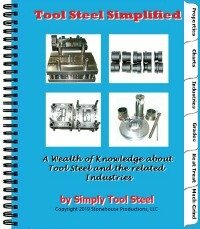 What is the purpose of heat treating tool steel? Find out why tool steel needs to be heat treated in this article. A diagram and explanation of the thermal cycle required to properly harden conventionally-produced tool steel is depicted here. This is the first article in the heat treating series for conventional tool steels. A diagram and explanation of the thermal cycle required to properly harden PM-produced tool steel is depicted here. This is the first article in the heat treating series for the PM tool steels. An overview of the heat treating process from the prevention of oxidation to cryogenic treatment. Each step is described in the typical order of the process. Recordkeeping is a very important part of the heat treating process. If a tooling problem should occur, the manufacturer will want to look at the heat treating process for a possible solution. Accurate data collection is vitally important to solving a tooling failure stemming from the heat treating process. Tool steels must be protected from exposure to oxygen at elevated temperatures. This article explains the methods used. Annealing of tool steel is the process of softening it to make it ductile or malleable. Sometimes tools will need to be annealed. This article will provide the reasons and describe the process. Stress relieving of tool steel can be a very beneficial or necessary step in the heat treating process. Longer tool life can result from this simple step. 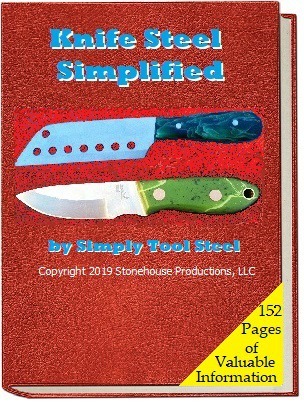 Larger sections of tool steel will need to be preheated to reduce stress and size change during the hardening process. Austenizing is the step of the heat treating process where the tool steel transforms. Jumping directly to this part of the process can lead to inferior tools. The rapid cooling of tool steel is the quenching part of the heat treating process. This quenching stage is where the actual hardening of the tool occurs. Tempering of the tool steel is necessary to relieving the stresses built up during the heat treating process and to attain the desired hardness. Welding is not part of the heat treating process, but it does require a thermal treatment. Welding, at times, may be a necessary stage during the life of a tool. Cryogenic treatment may benefit some tool steels. We take a look at the process and apllication of this deep freezing process.